A deadly type of brain tumor and Zika-related brain damage in developing fetuses are devastating brain conditions that, at first glance, may seem unrelated. However, thanks to new research, their paths seem to cross in a way that could benefit patients. A new study has shown that Zika kills brain cancer stem cells, the kind of cells most resistant to treatment in patients with glioblastoma, a deadly brain tumor diagnosed in about 12,000 people in the US each year. Researchers Michael S. Diamond and Milan G. Chheda, of Washington University School of Medicine, and Jeremy N. Rich and Zhe Zhu, of UC San Diego, tested whether the Zika virus could kill cancerous brain cells removed from glioblastoma patients. They infected the tumor cells with two different strains of Zika virus. Both strains spread through the tumors, infecting and killing the cancer stem cells, and they avoided killing most normal cells in the area. The researchers published their findings September 5 in The Journal of Experimental Medicine. The study authors believe that additional studies into the Zika virus to increase safety and effectiveness may find it has a future therapeutic use in treating glioblastoma patients. "We see Zika one day being used in combination with current therapies to eradicate the whole tumor," Chheda said in a press release. Men, people over 50 (who have the lowest 5-year survival rate), and people of Caucasian or Asian ethnicity are more likely to be diagnosed with glioblastoma than other people. Recently, Senator John McCain was diagnosed with the disease. Glioblastomas are treated first by removing all the tumor that's safe to remove. Surgery can't cure this cancer, but the more tumor they remove, the better the patient's prognosis. Then the patient receives radiation to the site of the tumor the oral chemotherapy drug temozolomide for six weeks. The chemotherapy is given five days in a row every four weeks for six to 12 cycles. Radiation and chemotherapy are done to try to prevent the tumor from growing and invading other tissue. Unfortunately, almost all glioblastomas recur, usually within six to seven months, and only 4–17% of patients are still alive five years after diagnosis. But there's another way that researchers are trying to kill cancers: using viruses. This approach takes advantage of the facts that cancer can decrease the body's normal antiviral response and the mutations cancer causes on cell surfaces make them more susceptible to viral infections. Viruses then can preferentially invade and infect cancer cells, kill them and leave nearby healthy cells untouched. Because the immune system eventually does catch up with viruses used to treat cancer, scientists have been working to engineer viruses specially designed to escape immune detection while they do their work to kill cancer cells. If researchers could find a type of virus that targets the out of control cells in the glioblastoma, this might be another way to treat the disease might be able to treat the disease. 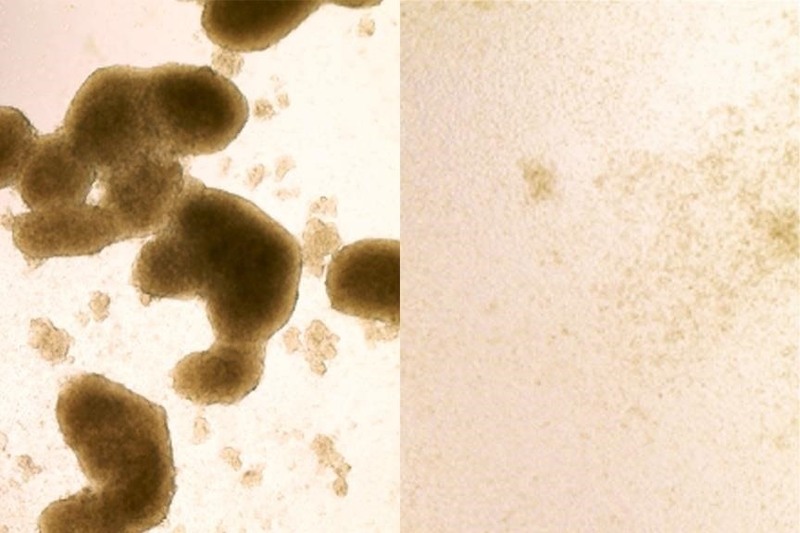 These rapidly growing glioblastoma cells reminded Zhu of normal neuro-progenitor cells, cells that give rise to brain cells in a developing fetal brain. These are the same cells that are targeted by the Zika virus when a pregnant women is infected. The virus kills neuro-progenitor cells in the developing brains of the fetus, causing congenital disabilities. Zhu wondered if Zika would target out-of-control glioblastoma cells, too. And he took the idea even further — he wondered if the virus could be used against the cancer cells, to kill them the way other viruses are being used to treat other cancers. The researchers studied Zika'a ability to kill glioblastoma cells several different ways. In the lab, they infected glioblastoma cells removed from patients with two strains of the virus. In one week, the viruses progressively infected the tumor cells but were less likely to infect normal glial cells — the cells that make up 90% of the cells in the brain — the investigators also exposed to the virus. As a test, the researchers also tested West Nile virus, which is also a flavivirus like Zika. When infected with West Nile virus, the glioblastoma cells and biopsy tissue from patients with epilepsy (where no brain cancer was present) were both killed. It seems that Zika is unique in its ability to kill glioblastoma cells selectively and leave healthy cells alone. To test the ability of Zika to treat cancer in a living animal, the researchers injected either Zika virus or salt water (a placebo) into the brain tumors of mice. Eighteen mice received Zika virus, and 15 got the placebo. Two weeks later, tumors in the Zika-treated mice were significantly smaller than the ones given salt water. None of the mice injected with salt water survived past 30 days, but about half the mice injected with Zika virus were still alive 60 days later. 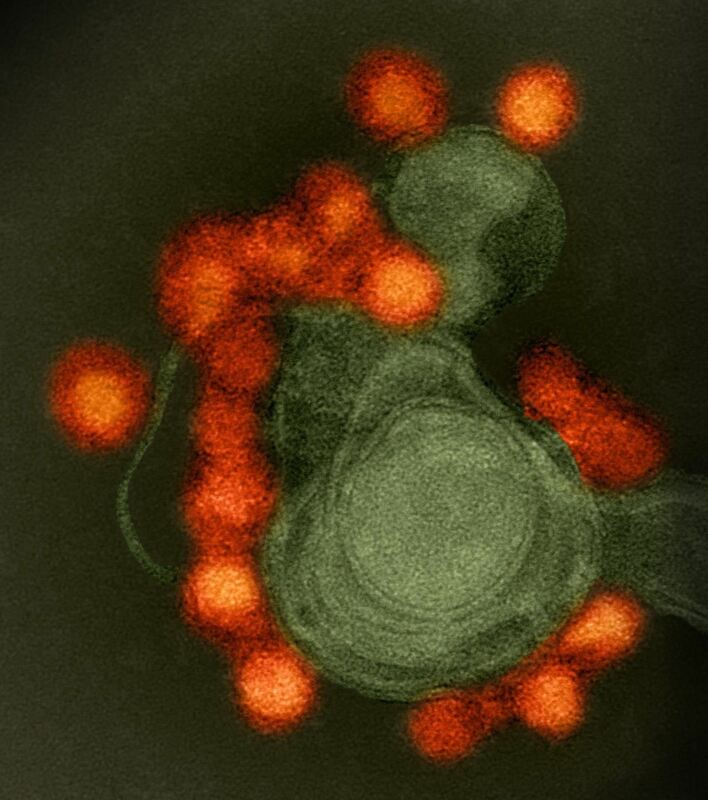 To combat the body's natural immune responses against viruses, the scientists created versions of the Zika virus engineered to generate a weaker immune response, with the hope that'd mean the virus could survive longer in the body and take out more cancer cells. Both strains of Zika killed the glioblastoma cells — but the natural strain was more potent, meaning researchers didn't need to use as much virus to kill the cancer cells. According to the researchers, there are several factors to consider before researchers can try this approach in humans. They'll have to test how the virus affects the population of people who need this therapy. Since the virus infects neuro-progenitor type cells common in glioblastoma, it should be used only in adults where healthy neuro-progenitor cells — innocent bystanders the virus may kill — are rare. Researchers still need to do additional studies to test safer and more effective versions of the virus, as well as testing it in real human tumors and brains of people. "We're going to introduce additional mutations to sensitize the virus even more to the innate immune response and prevent the infection from spreading," researcher Diamond said. "Once we add a few more changes, I think it's going to be impossible for the virus to overcome them and cause disease." In the ultimate irony, the Zika virus that is so devastating to the brains of unborn babies may redeem its reputation by becoming the newest weapon in our viral cancer-killing arsenal.